Paint the air with light and color. 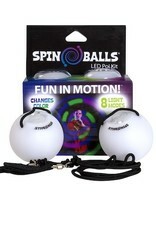 LED Light -up set of glowing LED poi attached to adjustable ropes. Beautiful lights with 8 different settings and soft core design. 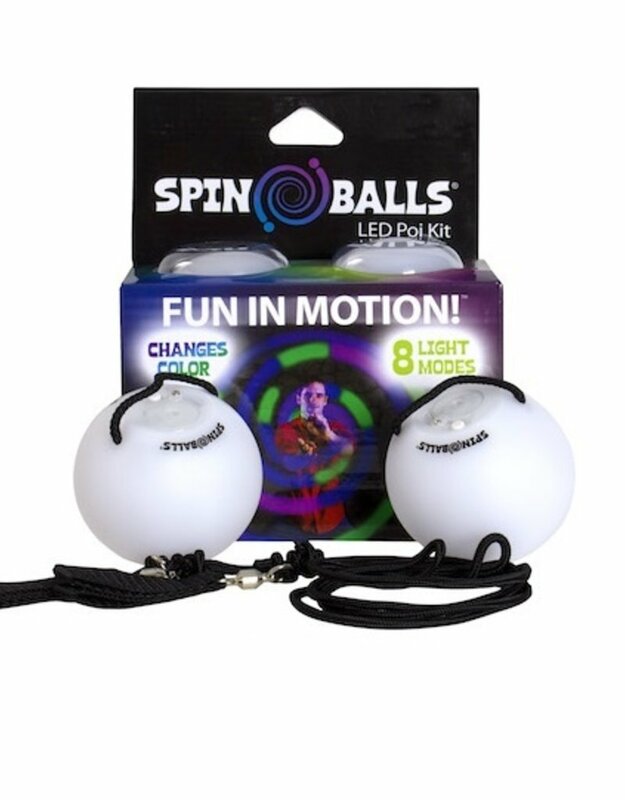 This inexpensive, unique light up ball toy appeals to kids & adults. From beginner to advanced, you can impress friends at parties, festivals & camping! Double loop handle leashes adjust "12-24". The soft core design makes a 'hit' in practice no big deal!